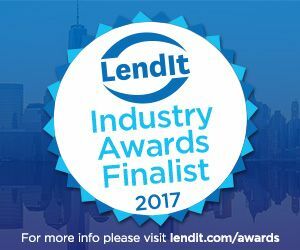 LendIt, the world’s largest show in lending and fintech, announced today that they have selected Wunder Capital as a finalist in the Emerging Small Business Lending Platform category for the first annual LendIt Awards. The Emerging Small Business Lending Platform finalists were awarded to companies that demonstrate the greatest potential to impact the future of small business lending. Wunder Capital was selected as a finalist out of hundreds of applicants worldwide and by more than 30 industry experts who judged finalists representing innovation, emerging talent and top performers. Wunder Capital will compete for top honors within the Emerging Small Business Lending Platform category at The LendIt Awards Ceremony on March 7 at the LendIt conference in New York City. For more information about the awards, visit http://www.lendit.com/usa/2017/awards.